In Latvia, approximately half of the forests (50%) are owned by the state, but the state, whereas the rest are owned by private owners and enterprises (48%), and local governments (2%) (According to data from State Forest Service in 2012). Forests owned by the state are managed by the following Ministries: Ministry of Environmental protection and Regional development, Ministry of Agriculture, Ministry of Education and Science and Ministry of Defence. State forest property managed for protection, such as forests in the National parks and nature reserves, is under the responsibility of the Ministry of Environmental Protection and Regional development. State forests managed for scientific and research purposes are under the responsibility of the Forest Research Station, an institution of the State Forest Service, supervised by the Ministry of Agriculture. These territories cover 0.8% of the total forest area. State forest property managed for commerical purposes is under the responsibility of the Joint Stock Company “Latvijas Valsts Meži” (“Latvian State Forests” or LVM), in which the main stockholder is the Ministry of Agriculture. LVM is responsible for: forest management, timber sales, production of forest tree seeds, providing forest and ornamental planting stocks, organizing recreation and hunting, and offering mineral resources such as sand, gravel, peat. The institutions of the Ministry of Education and Science, and the institutions of the Ministry of Defence are managing relatively small areas of state owned forests. Among local governments the largest forest owner is Riga City Council, whose forest area is managed by the limited company “Rīgas Meži” (Riga forests). From local governments the largest forest owner is Riga city council. Sustainable forest development is guaranteed by the Forest Law and subordinate regulations of the Cabinet of Ministers, which define the obligations of forest owners. Forest Law also determines that people have free access in a state or a local government forest, unless normative acts prohibit it. Moreover, free access may be restricted by the owner or the legal owner of the forest. 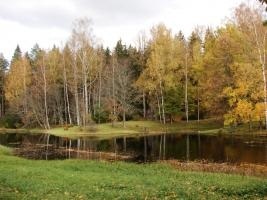 State Forest Service is the institution responsible for supervising the implementation of normative acts regarding forest management and forming a unified forest policy in Latvia. State Forest Service is also responsible for implementing long term support programmes which ensure sustainable forest management.